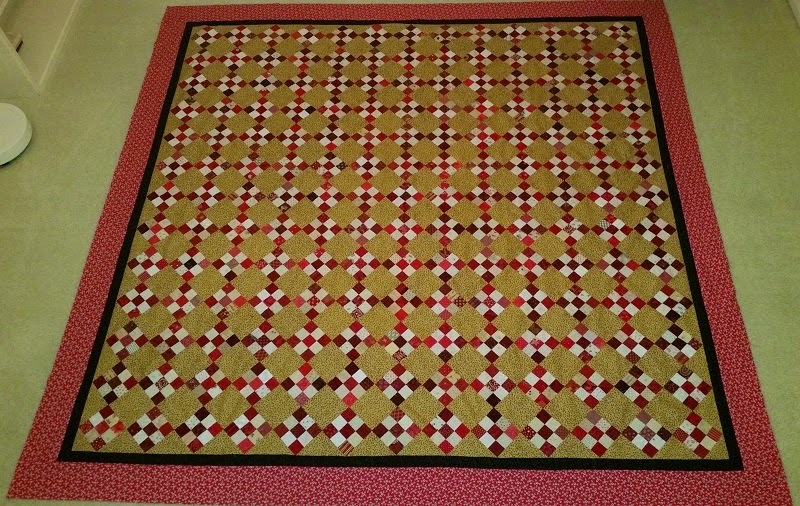 Hooray my April UFO is complete and just in time for the Parade over at 52 Quilts! Sisters Nine Patch was started a couple of years ago, when I was looking for a pattern to use up all the red scraps that I had. This is another of Bonnie Hunter's patterns from her earlier book, "Adventures with Leaders and Enders" It is also very large, finishing at 94x94 and has 169 Nine Patch Blocks. May UFO release. Have a great rest of the week! Great finish, Kerry! I love the borders you chose, and I look forward to seeing it I'm the parade. I hope you get a great start on another project before the new number comes up. Blessings! Excited to see how you quilt this one. Turned out fantastic!